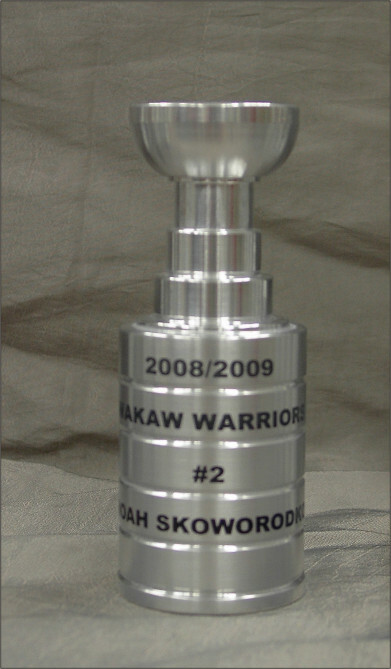 Laser Engraving and Cutting is one of our specialties. 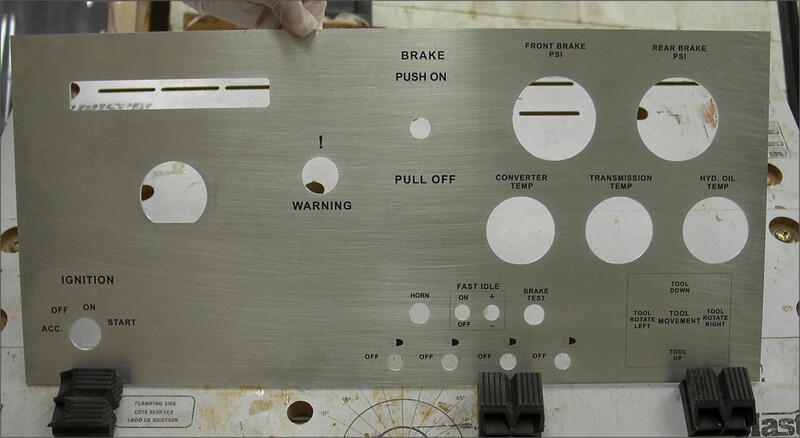 Combined with our CNC capability we can offer you some very unique and original products. 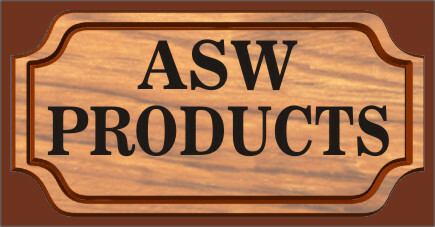 Please feel free to contact us with any special items you may need. 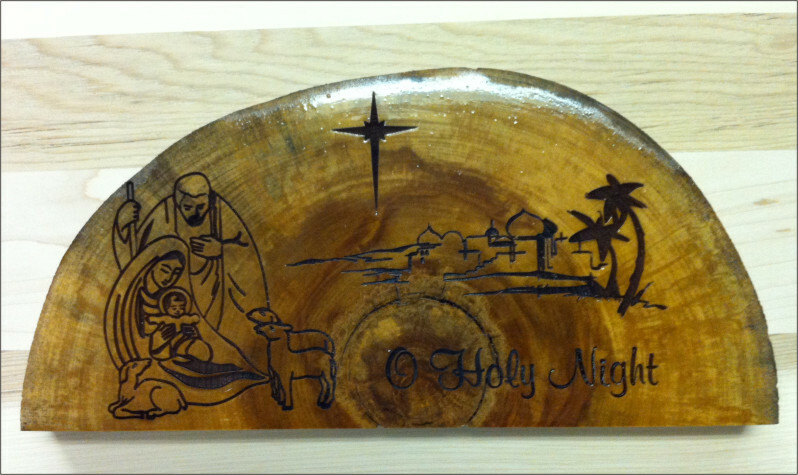 to see the many items available for laser engraving from Aurora Sign Works. Laser Engraved Aluminum Plaque 12"x48"
Photo laser engraved into a slice of Black Poplar tree with bark left on, size shown approx. 10" diameter average cost $112.00. 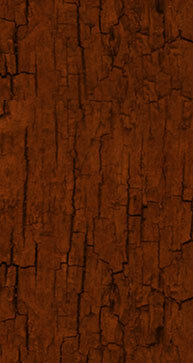 We cut our own wood slabs & blanks for laser engraving so sizes and availability vary. 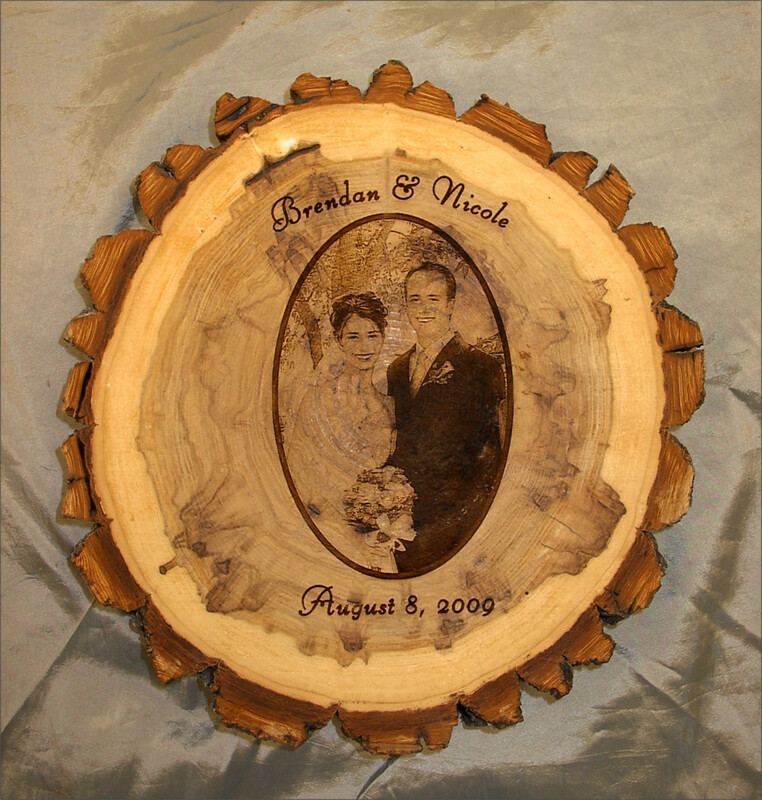 Prices shown are an average due to the fact that many photos require image adjustment in order to be properly laser engraved. 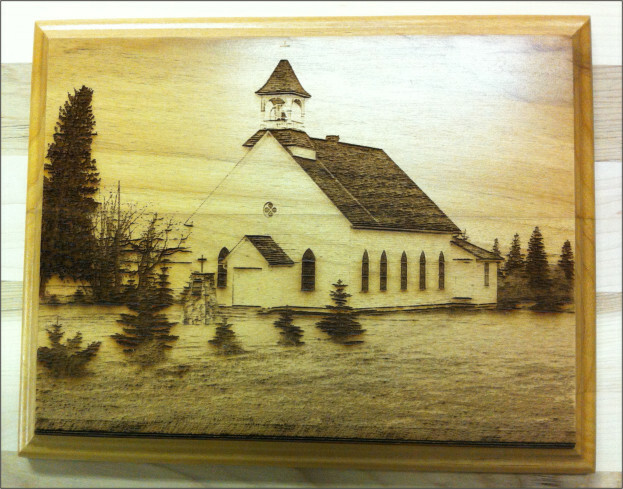 A laser engraved photo also makes a very challenging puzzle. 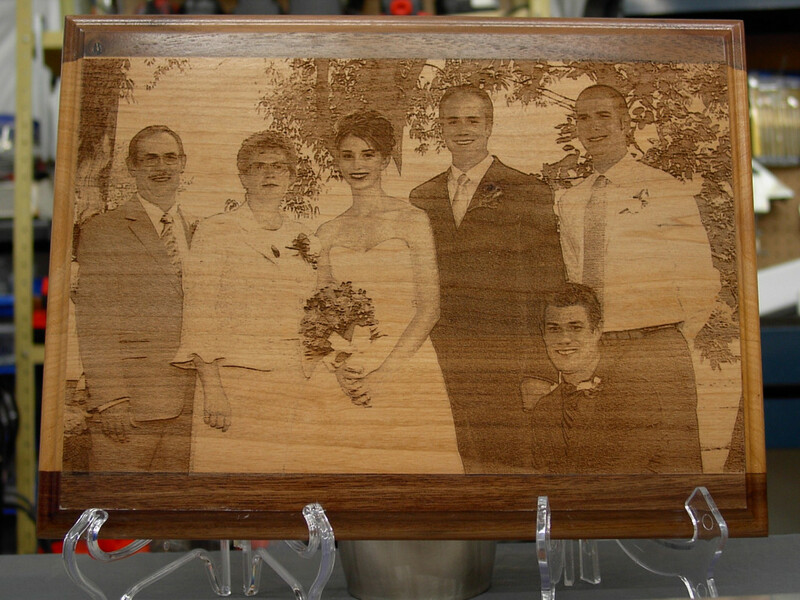 We can laser your photo onto a .125 thick plywood and then laser cut it into a puzzle. 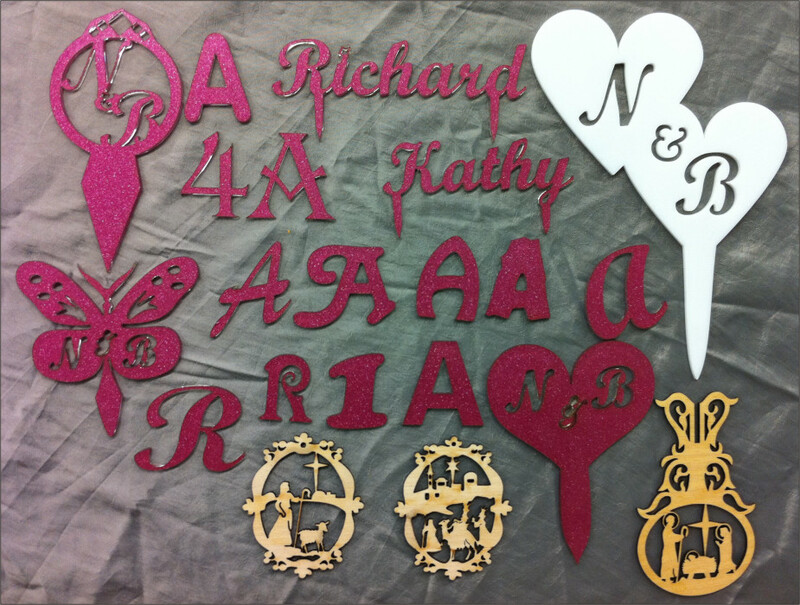 Laser cut plexiglass and wood for Lettering, Cake toppers, Ornaments, Signs etc. 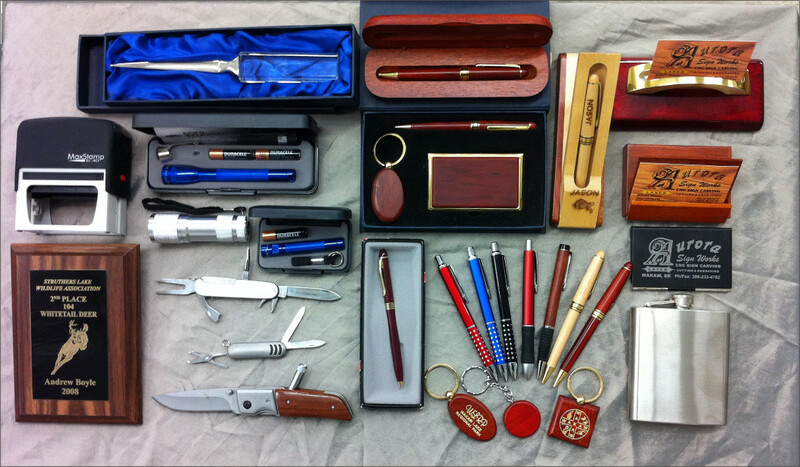 A sample of the products available for laser engraving.Please visit www.laserplaces,com for more products, then contact us with your requirements. Photo Puzzles available in 12 piece and 24 piece. (Custom sizes and shapes available upon request). 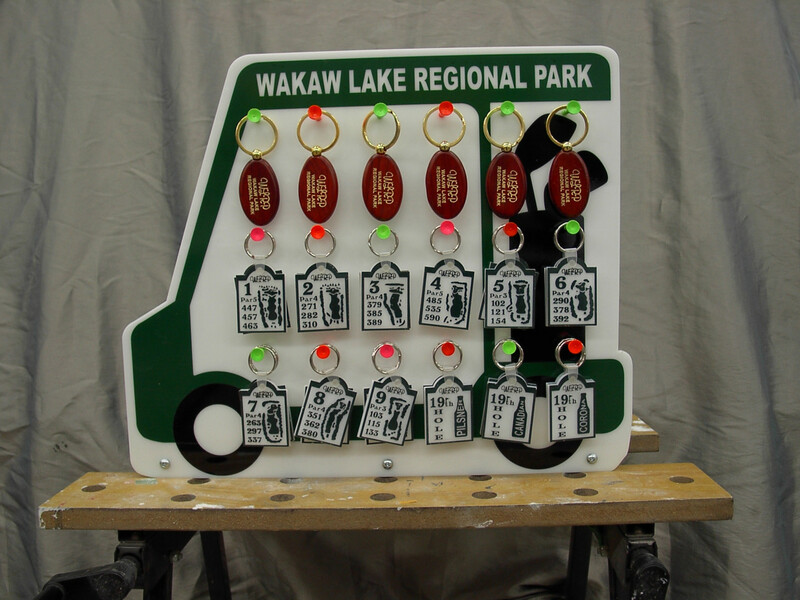 Custom puzzle shapes make great promotional items. Puzzles are cut from .20 acrylic or .25 MDF. 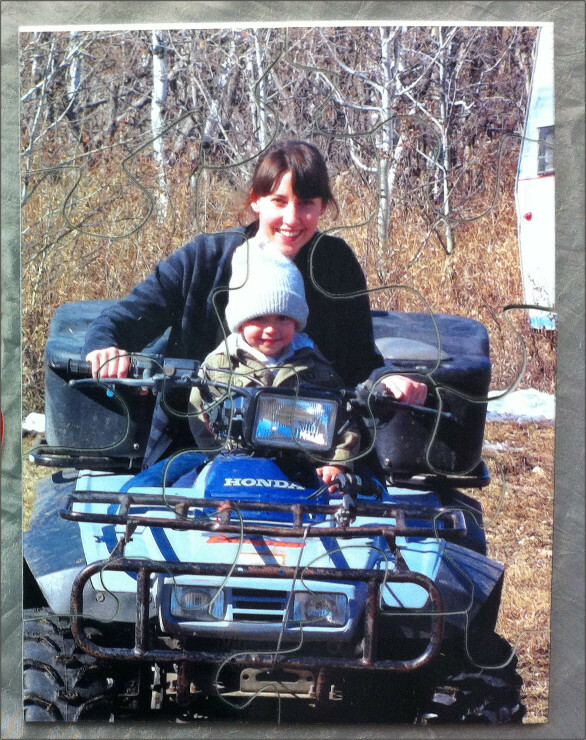 Photo puzzles are protected with a plastic laminate making them very durable. 5x7 - 12pc $32.00, 8x10 - 12 or 24pc $36.00. 10x12 - 12 or 24pc $46.00. We can custom make the pieces suit different photos extra charges apply for this service. 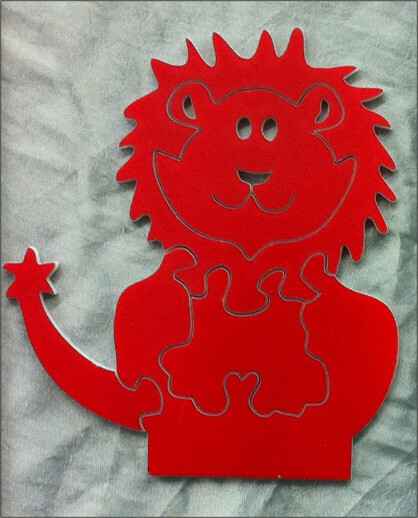 Custom Shape Puzzles available upon request or send us your own artwork. These make great Promotional items and are fun for both young and old. Puzzle shapes, Custom made our designs or yours. very charming and unique gift that is suitable for any occasion.